4‑H programs suit a variety of interests, budgets and schedules. From in-school to after-school, clubs to camps, 4‑H programs are available in your local community and welcome all children who want to have fun, learn and grow. Getting involved with 4‑H is easy and costs are kept to a minimum. Unlike other youth organizations, 4‑H doesn’t require a uniform and there are no national fees. 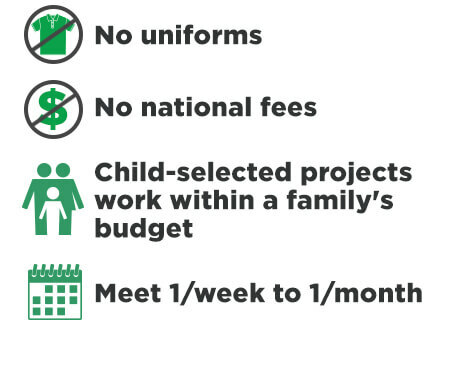 Children select their 4‑H education project so they can choose one that works well within a family’s budget. 4‑H programs and clubs typically meet once per week or once per month, although some may choose to meet more or less frequently. 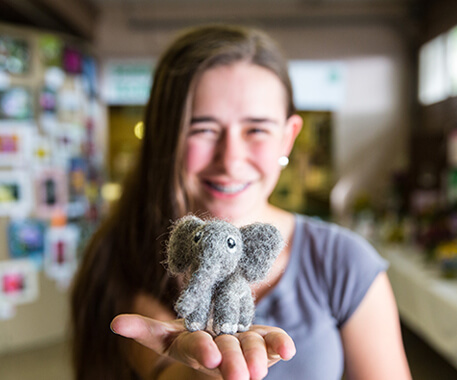 4‑H programs are available for children ages 8-18. 4‑H Cloverbud programs are available for children ages 5-7. Your local 4‑H office will help you find the right program for your child and provide you with meeting locations, time commitment and program details. 4‑H after-school and in-school programs provide 4‑H activities during and after school hours using hands-on activities and 4‑H curriculum. Both programs are available in grade schools and high schools. 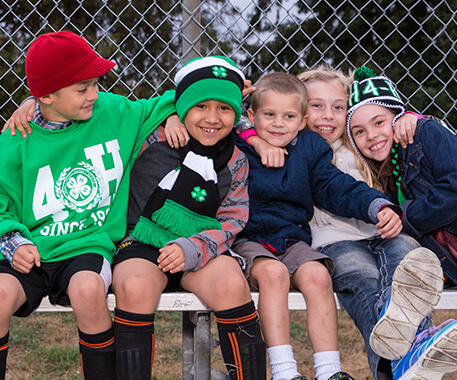 4‑H clubs follow a planned program and offer multiple learning opportunities for youth that are self-directed. Clubs can meet in a variety of locations and typically meet in the evenings and on the weekends. 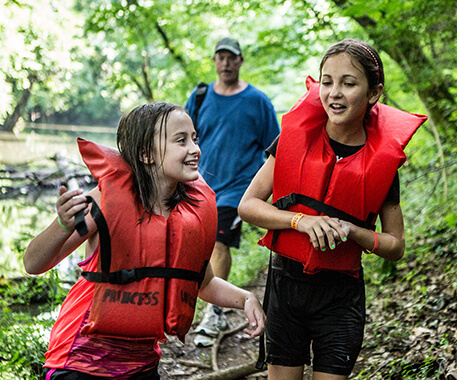 4‑H overnight and day camps offer recreational and educational opportunities in a camp setting. 4‑H camps provide youth with the chance to meet new people, have fun, and experience the great outdoors. For more than 100 years, 4‑H has been welcoming kids of all beliefs and backgrounds, giving them a voice to express who they are and how they make their lives and communities better. Support 4‑H youth and help us reach more kids with the hands-on learning experiences they deserve in life and career. In 4‑H, youth lead hands-on projects in areas like science, health, agriculture and civic engagement.